Prior to seeing Bohemian Rhapsody, I knew precious little about the rock group Queen. Sure, I'd enjoyed lots of their pop hits like “Crazy Little Thing Called Love” and “Another One Bites the Dust,” but I was totally unaware of the legendary, British band's back story. It was founded in the early Seventies by guitarist Brian May (Gwilym Lee), drummer Roger Taylor (Ben Hardy), bassist John Deacon (Joseph Mazzallo) and lead singer Farrokh Bulsara, aka Freddie Mercury (Rami Malek). The film fittingly revolves around the flamboyant front man with a four-octave vocal range who also came up with the suggestive name Queen. Born in Zanzibar and of Persian descent, Freddie's family fled to England when he was 17 to escape ethnic cleansing. In London, he met Mary Austin (Lucy Boynton), the woman he would forever consider the love of his life, despite the fact that he was homosexual. For years, she would serve as the rock Freddie returned to whenever Queen came off the road, until the philandering, flirtatious cross-dresser finally confessed to being gay. 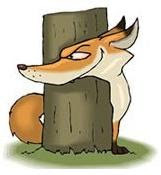 Out of the closet, he was suddenly free to engage in the sort of risky sexual behavior that could could catch up with you at the inception of the AIDS epidemic. Meanwhile, Queen continued to crank out such rock-and-roll anthems as “We Will Rock You” and “We Are the Champions.” Eventually, an ailing Freddie would abandon his band mates for a solo career that failed to take off. 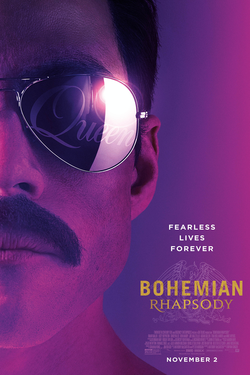 All of the above is recounted in fascinating fashion in Bohemian Rhapsody, a riveting rocktrospective directed by Bryan Singer (The Usual Suspects). Whether recreating the group's concert performances or offering a peek at their offstage antics, it's always the irrepressible Freddie who's front and center. 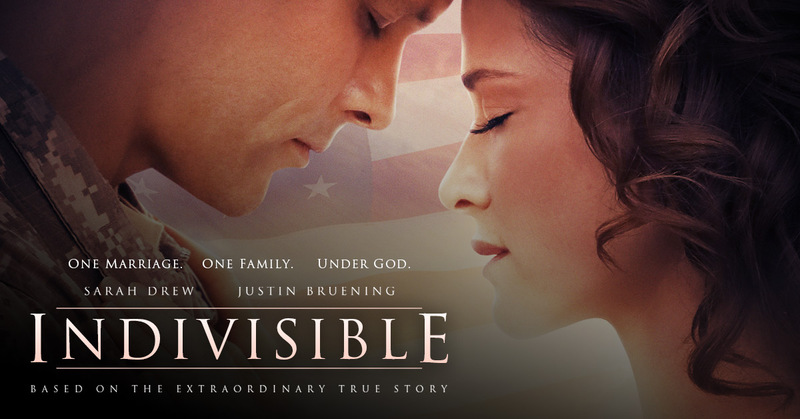 Soon after completing his seminary studies, Darren Turner (Justin Breuning) was commissioned as an Army Chaplain. He was assigned to Georgia's Fort Stewart, but received orders to ship out to Iraq before he and his family even had a chance to get settled. Gilda Radner (1946-1989) wais best known as an original cast member of Saturday Night Live. In fact, she was the very first of the “Not Ready for Prime Time Players” hired back in 1975 by the show's creator/producer, Lorne Michaels. She soon skyrocketed to superstardom on the strength of sketches where she played such unforgettable characters as Roseanne Roseannadanna, Emily Litella and Baba Wawa (aka Barbara Walters), to name few. Sadly, her career would be aborted by a diagnosis of ovarian cancer which would claim her life at the age of 42. 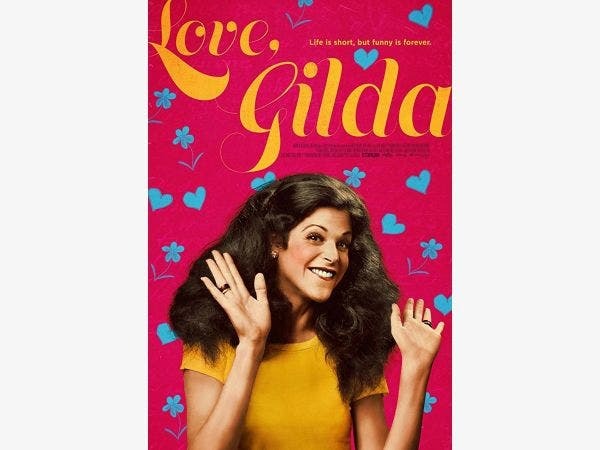 Love, Gilda marks the directorial debut of Lisa Dapolito who paints a poignant portrait of the late comedienne, mostly in her own words, via a combination of diary entries, home movies and recently discovered audiotapes. The reverential retrospective also features archival footage of performances, as well as wistful reminiscences by her brother, Michael, and colleagues like Chevy Chase and Laraine Newman. The engaging biopic unfolds chronologically, with Gilda reflecting upon how she developed an interest in comedy at an early age while growing up in Detroit. “Because I'm not a perfect example of my gender, I decided to be funny about what I didn't have.“ she explains. She majored in theater at the University of Michigan and dropped out not to kickstart her career, but to follow her sculptor boyfriend to Canada. She did join Toronto's Second City comedy troupe there, comparing improv to a circus performer's working without a net. Overall, a fond tribute to a much-beloved comedy icon. Unbroken (2014) was a tale of survival chronicling the ordeal of Olympian/Air Force bombardier Louis Zamperini in a Japanese POW camp during World War II. Directed by Angelina Jolie, the hit biopic was adapted to the screen by the Coen brothers, from Laura Hillenbrand's (Seabiscuit) best seller of the same name. 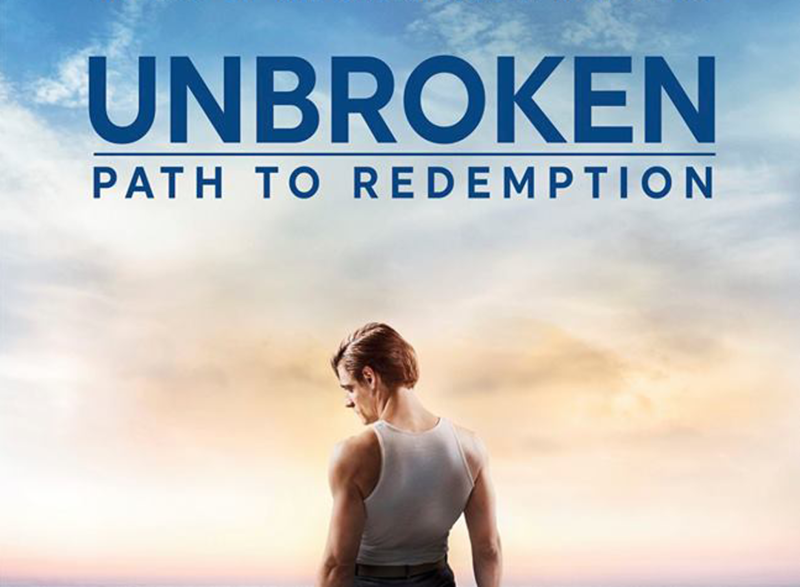 Unbroken: Path to Redemption is also based on Hillenbrand's book, but doesn't have a creative team with as impressive a pedigree. The cast has been totally overhauled, too, with Samuel Hunt now starring as Louie. Unbroken 2 picks up where the first film left off. The original closed with a liberated Louie's kissing the ground upon landing back in the states, implying a pat, happily ever after ending. Yes, he does meet and marry the girl of his dreams, Cynthia Applewhite (Merritt Patterson). The two settle in California and start a family. However, Louie remains haunted by flashbacks to his torture at the hands of Corporal Mutsuhiro “The Bird” Watanabe (David Sakurai), a sadistic guard at Sugamo prison. Despite being celebrated as a war hero, Louie's suffering from Post-Traumatic Stress Disorder prevents him from being a good husband and provider. He becomes an angry, abusive alcoholic before a desperate Cynthia drags him to a Billy Graham (played by his grandson, Reverend Will Graham) Christian revival being staged in a tent. The charismatic Baptist preacher's plea to “Just reach out and take the hand of Jesus, and every problem will be washed away,” resonates with Louie. When the sinner sinks to his knees, you know salvation can't be far behind. Need proof of the miracle? Stick around for the closing credits' highlight reel of the two subsequently sharing the stage on the evangelical circuit. Sergeant Darren Hill (Liam Matthews) was just days away from finishing up a tour of duty in Afghanistan when he died during an ambush of his unit. The shocking news devastated his wife, Amber (Lindsay Pulsipher), and their young daughter, Bree (Makenzie Moss). 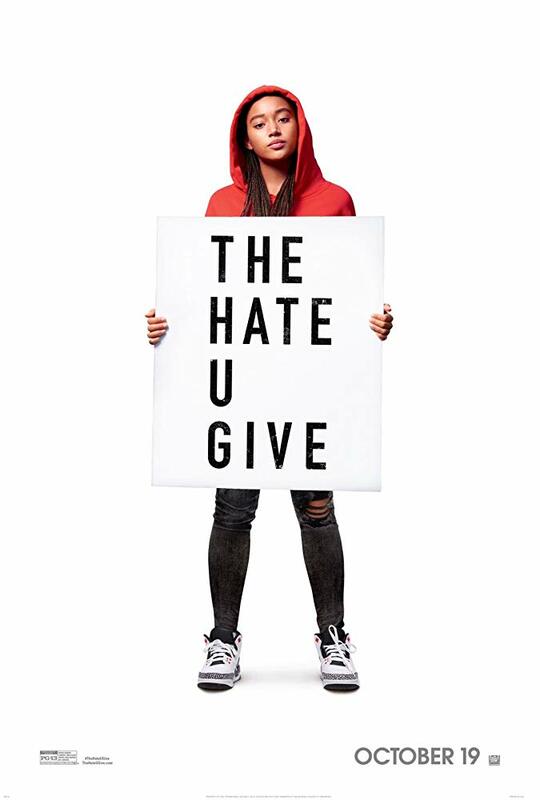 In fact, Amber was so embittered, she Amber stepped down as her church's choir director, moaning, “Look where my faith in God got us.” And pep talks from Pastor Williams (LaDainian Tomlinson) and her BFFs, Bridgette (Jordin Sparks) and Karena (Robin Givens) fail to bring her back into the fold. Two years later, and we find the grieving widow struggling to keep a roof over her head. Waitressing at the local diner simply doesn't pay enough to keep the bank from threatening to foreclose on her house. 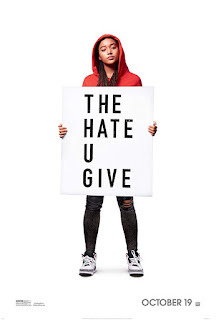 When Amber's served with a notice to vacate the premises, she borrows $800 from a loan shark at a usurious rate, a short-term fix certain to come back to bite her. It takes hitting rock bottom for her to rethink turning her back on God. 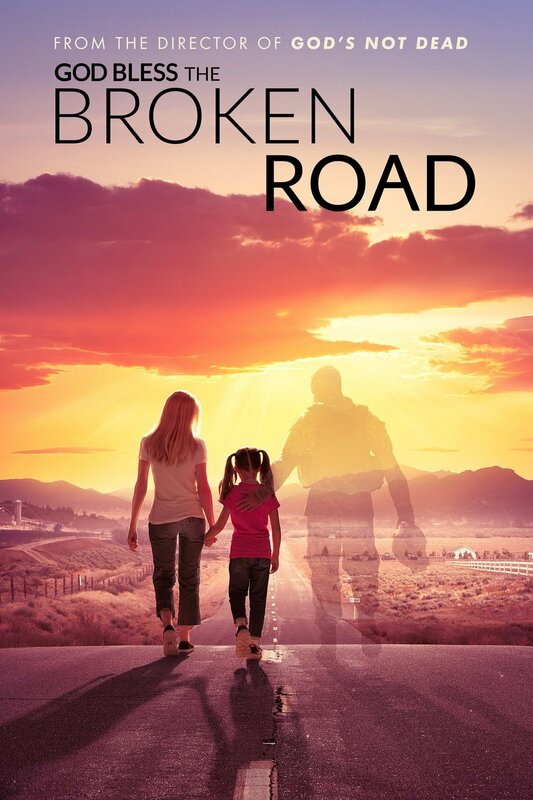 Thus unfolds the opening act of God Bless the Broken Road, a faith-based drama directed and co-written by Harold Cronk (God's Not Dead 1 and 2). 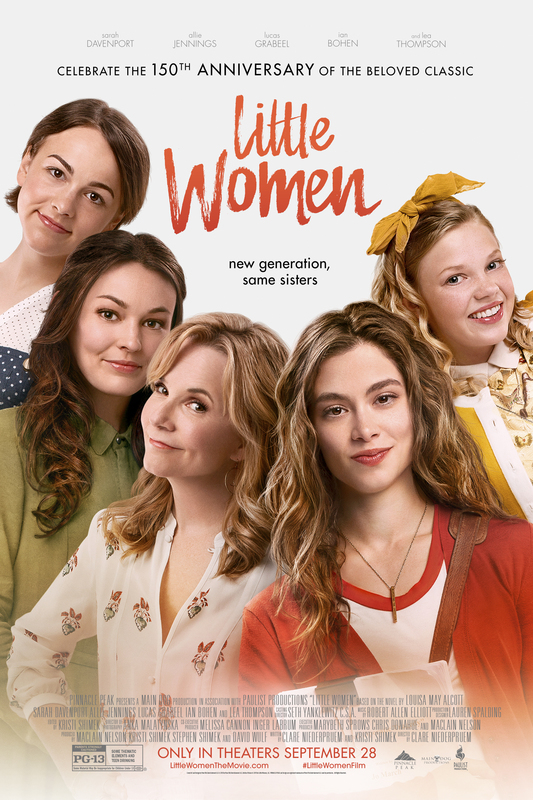 Unfortunately, the cliche-ridden, modern morality play is less concerned with character development than with hammering home a heavy-handed message about the virtues of Christianity. Quite predictably, Amber's fortunes do improve, but only after her faith in the Lord is restored. Meanwhile, the screen is littered with one-dimensional caricatures who bear no resemblance to real people. Neil Armstrong made history on July 20, 1969 when he became the first person to walk on the moon. In retrospect, the NASA astronaut proved to be the ideal pick for the honor, since he never subsequently sought to cash in on his celebrity status. Published in 2005, the 768-page opus has now been adapted to the screen by Oscar-winning scriptwriter Josh Singer (for Spotlight). However, the biopic covers only 1961 through 1969, Armstrong's early years in the space program, ending with Apollo 11's historic lunar landing. The picture reunites Damien Chazelle and Ryan Gosling whose collaboration on the delightful musical La La Land (2016) netted the former the Best Director Academy Award and the latter a nomination in the Lead Actor category. 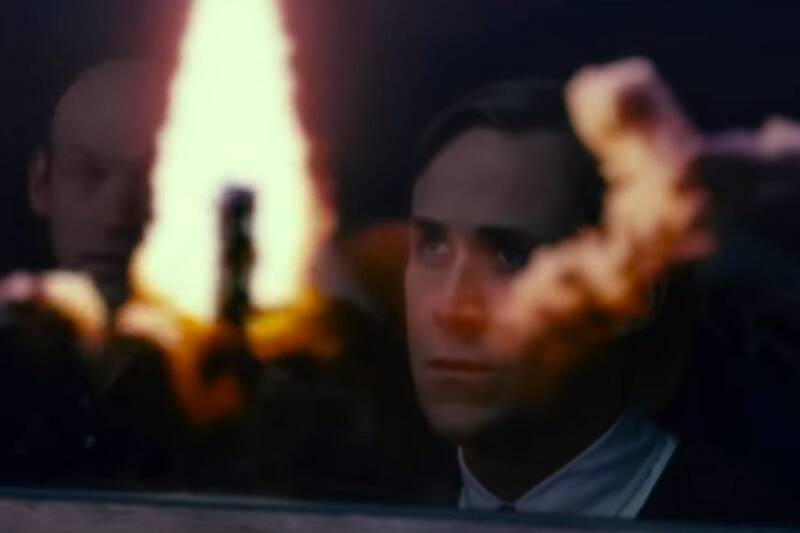 First Man is a relatively-sober affair which divides its time between chronicling the astronauts' perilous training regimen and speculating about the ever-stoic Armstrong's inscrutable psyche. The movie's somber tone is set not long past the point of departure when Neil and wife Janet's (Claire Foy) 2 year-old daughter Karen loses her battle with brain cancer. In lieu of mourning, he throws himself into his preparations for space flight, and his emotional unavailability puts an unspoken strain on their relationship. Meanwhile, the risks associated with the Gemini and Apollo programs only further intensify Armstrong's palpable angst. After all, numerous astronauts died in accidents during training, including his close friends Ed White (Jason Clarke) and Elliot See (Patrick Fugit). In terms of special f/x, First Man tends to telescope tightly on what transpired in the cockpits, so brace yourself for lots of hand-held camera work from the astronauts' point-of-view, as opposed to the awe-inspiring God shots you ultimately get from the lunar surface. 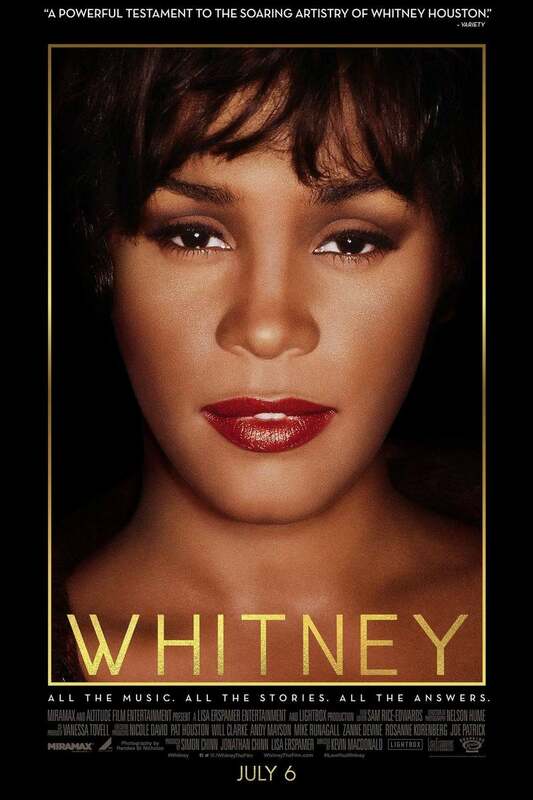 A fitting tribute to an American icon best remembered as a humble, vulnerable soul with human frailties.